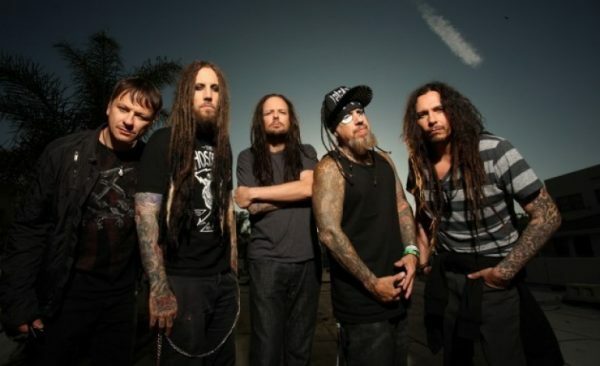 KORN – PREVIEW OF NEW TRACK ‘ROTTING IN VAIN’ WITH ALBUM ARTWORK AND RELEASE DATE! Whatever you may think of KORN, there is no denying that they know the art of survival in this business. One Nu-Metal poster-boys of the 90’s, the Bakersfield crew are back with an album that see’s the band return to a much heavier sound. Step inside the world of KORN 2016…. Having sold in excess of 35 million records since the bands debut self titled release back in 93′, KORN have withstood many battles with changes in the industry, internal band issues, failing side projects and that’s just for starters! Present-day KORN are a much more mature and sharper unit, delivering crushing live performances across the globe and continue to develop their sound and push boundaries. 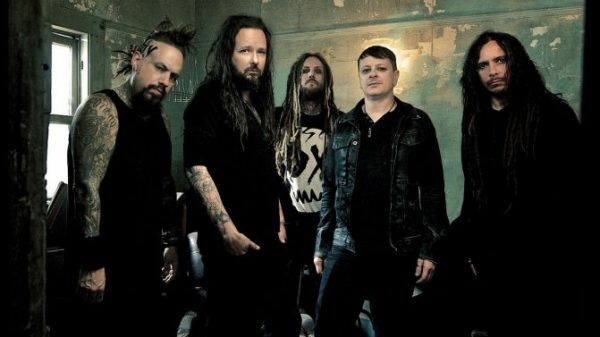 KORN have announced that their 12th studio album, The Serenity Of Suffering will be released on 21st October. The collection marks the band’s welcome return to Roadrunner Records, who previously released 2010’s’KORN III – Remember Who You Are and 2011’s The Path of Totality. You can pre-order the album from today on this link and grab the first single, ‘Rotting In Vain’ right away. The brand new video for ‘Rotting In Vain’ stars ‘Sons of Anarchy‘ actor Tommy Flanagan. Check out the full video below. Produced by Nick Raskulinecz (Foo Fighters, Deftones, Mastodon), the album also features a special guest appearance from Corey Taylor of Slipknot. The sleeve artwork (below) is by artist, Ron English. Earlier this week, KORN kicked off their ‘Return of the Dreads Tour’ in Denver, CO. This co-headlining summer trek with Rob Zombie, features special guests, In This Moment and continues through 3rd September. On 24th September, KORN will then share co-headlining duties with Breaking Benjamin on the ‘Nocturnal Underground’ arena tour, featuring special guests, Motionless In White. 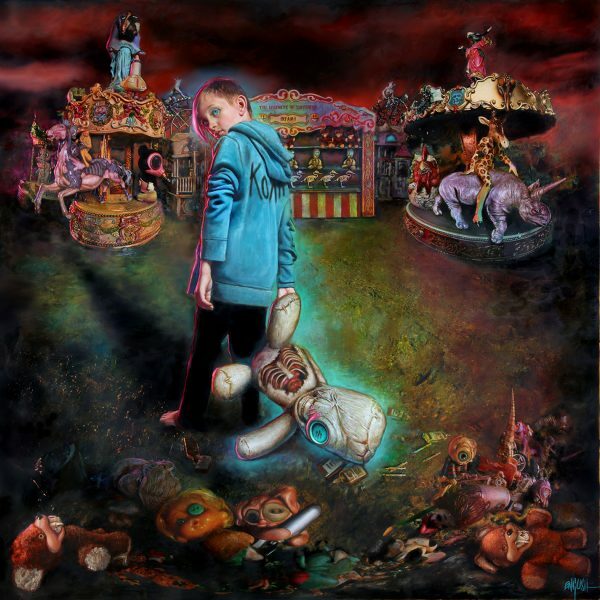 Pre-orders for KORN‘s 12st studio album THE SERENITY OF SUFFERING can be accessed by clicking on the graphic link below.